Service: It is with thankfulness and gratefulness that we serve our customers. It is their support that ultimately sustains our livelihoods. Great Quality: If the produce is not fresh, it does not matter if we do everything else perfectly. Sustainability: "Planet, People, and Profit." We believe that a truly successful, enduring business must operate in a way that benefits all of its stakeholders. Interdependence: From the farmer in the field to the customer placing the order, it is only through a collective effort that we can make this happen. In 2013, we became a Certified B Corporation. B Corporations are a new kind of company which uses the power of business to solve social and environmental problems. Unlike traditional corporations, Certified B Corporations are legally required to consider the impact of their decisions not only on their shareholders, but also on their workers, suppliers, community, consumers, and the environment. Click here to view our B Corp profile! In 2007, we became one of the first companies in Boston to get certified through the Sustainable Business Leader Program (SBLP). The SBLP is a six-step certification program that takes a holistic approach to improving the environmental performance of businesses. We were re-certified by the SBLP in 2012. We support several organizations and participate in a variety of events in the communities we serve. 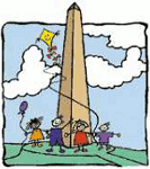 Click here to see some of the great local organizations we regularly support. If you would like us to donate/sponsor or get involved with your event, please let us know! Our delivery routes are mapped out for our drivers prior to their departure from our warehouse, so that we can deliver our produce boxes in the most efficient manner possible. We also ask that our drivers shut off their vehicles whenever possible, so that we can keep our emissions and fuel use to a minimum. Weather permitting, we use a cargo bike to deliver produce boxes close to our warehouse and in areas that are difficult to access with a van. Each time that we order produce from farms and wholesalers, we keep our orders as trim as possible, to minimize the potential for food to go to waste. At the end of each week we distribute leftover produce amongst Boston Organics employees, and donate any additional produce to Food for Free. Food for Free is an organization that aims to reduce food waste while guaranteeing access to fresh produce for emergency food programs. WasteWise is a voluntary partnership program launched by EPA in 1994 to help private and public organizations work toward waste reduction. Boston Organics has partnered with WasteWise to track our recycling efforts and minimize our environmental footprint. 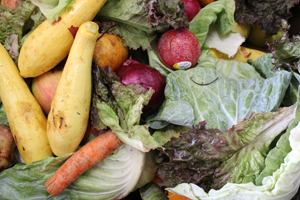 Boston Organics also joined the WasteWise Food Recovery Challenge, which encourages participants to reduce, donate, and recycle as much of their food waste as possible. Participants conduct a food waste assessment, undertake specific waste reduction activities, create a food waste recovery plan and report progress. We work with Save that Stuff to recycle our recyclables and to compost whatever we can. The compost that is picked up from Boston Organics eventually makes its way to Rocky Hill Farm in Saugus, Massachusetts. 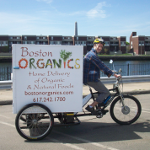 Recognized by Mayor Marty Walsh and Boston Bikes as a Bike Friendly Business, Boston Organics received this award which is given to a select group of local companies who encourage their employees to bike to work by making their office culture and environment more bike-friendly. The Greater Boston Chamber of Commerce recognized Boston Organics as one of the top 10 small businesses in the Boston area. This award is presented to small and growing businesses for their outstanding achievements in management and innovation. 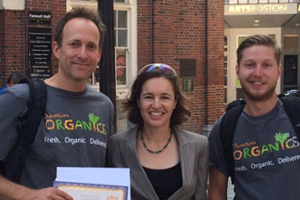 The EPA's Food Recovery Challenge recognized Boston Organics for creating opportunities to reduce food waste in order to reduce costs, protect the environment and help our local communities. 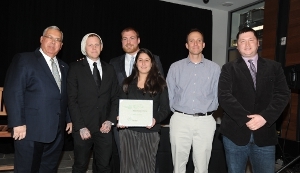 Boston Organics won a Sustainable Food Leadership Award from Mayor Menino and the City of Boston during the 2011 Boston Green Awards. These awards are given to businesses that demonstrate extraordinary efforts to provide the freshest, local food in the most sustainable manner. Every year MassRecycle recognizes a select group of individuals, businesses, municipalities and organizations for their leadership and innovation in promoting recycling and waste reduction by presenting them with the “Green Binnie’ Recycling Award. We are also members of the Sustainable Business Network of Massachusetts (SBN). 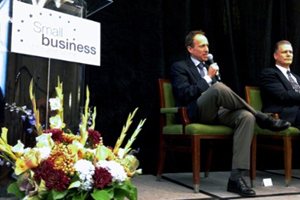 SBN engages business and community leaders in building economies that are green, local, and fair. SBN supports locally owned and independent businesses in improving their environmental business practices, reducing their carbon footprint, and saving money. We are a proud member and sponsor of the Non-GMO Project. The Non-GMO Project is a non-profit organization committed to preserving and building sources of non-GMO products, educating consumers, and providing verified non-GMO choices. The Non-GMO Project believe that everyone deserves an informed choice about whether or not to consume genetically modified organisms.